Search For All Chattanooga And North GA Homes And Land For Sale Here On www.AllChattanooga.com. Contact The Paula McDaniel Group To Start Your Home Search Today! 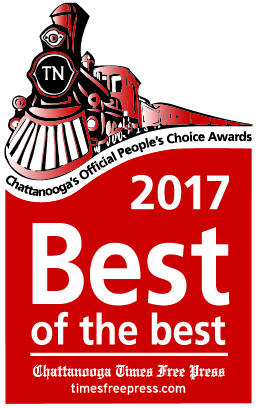 The Paula McDaniel Group Has Been Voted The Best Of The Best Residential Realtor For The Past 9 Years In A Row! View recently listed real estate properties throughout the Chattanooga, Tennessee area here on www.AllChattanooga.com. We have hundreds of listings including luxury, waterfront, mountain brow, condos, town homes, foreclosures and new construction homes. We receive new listings everyday from the Chattanooga MLS, so check back regularly! Paula McDaniel Knows Chattanooga And North Georgia Real Estate! Paula McDaniel is a top Realtor in Chattanooga, TN. List your current home or buy your next home with one of the best Chattanooga Real Estate Agents, Paula McDaniel. You’re Trusted Realtor for Buying and Selling Real Estate in Chattanooga, Tennessee and North Georgia. Some of the best Chattanooga properties for sale are displayed right here. Paula McDaniel is an expert in the Chattanooga real estate market, and can provide you detailed information on these homes, or any others! Find out what's going on in today's Chattanooga real estate market. Paula McDaniel's Chattanooga Real Estate Blog provides fresh perspective on our market activity. Be sure to check it out! Be the first to know what's coming up for sale in the Chattanooga real estate market with Paula McDaniel's Chattanooga Property Listing Alerts from the Chattanooga MLS! Just tell Paula what you're looking for and we'll email a daily update of all Chattanooga homes listed for sale since your last update. You can unsubscribe at any time. Receive a complimentary analysis of your Chattanooga home's approximate present value on the market today. Let us know if there is something specific you are looking for and we'll find what you need. Enjoy your visit and please contact us if there is anything we can do to make your next Chattanooga Real Estate home buying or home selling experience the best it can be!